If you've ever looked around for advice about your hair loss, you'll know that there are all sorts of different people out there offering help, but knowing who to trust can be difficult. Some of them are exploiting people's distress to sell ineffective products at high prices, many are not as qualified as they pretend to be, and worse, some suggested treatments could actually do you harm. What do you need to know to avoid problem products? 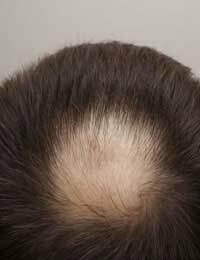 Because many people become desperate about Hair Loss and are willing to spend large sums of money to halt or cure it, there are inevitably other people out there looking to exploit them. Some of these people have websites and even printed catalogues that look official. They may offer what look like great savings if you buy direct, but do a general web search for their products anyway. A reputable product will usually be carried by other people. If you post on any internet forums or mailing lists discussing your Hair Loss, your email address could become available to advertisers who will then contact you to promote particular treatments. Some of the emails you receive will seem to come from friendly individuals, but you should treat it with caution. If a company really has a strong and effective product, it won't need to sell it in this way. Nobody will let strangers in on a secret if they could make more money by going public. Don't trust hair loss products from companies that make unrealistic claims. If you're told a product can do new things because it's using new technology, ask how the technology works. You can then do some research, looking up unfamiliar words, to see if the idea really seems feasible. Don't let yourself be pressured into making decisions quickly. Wherever you obtain a product for the treatment of hair loss, you should always test it on just a small patch of your skin before using it, then experiment with it on a small area of your scalp before applying it all over. This means that if you have an allergy or a sensitivity to any chemical in the product you'll find out with minimum damage done. If you have any cuts or abrasions on your scalp, or have damaged skin in that area, ask your doctor for advice before you use any topical hair loss product. This is because damage of that sort can cause your body to absorb too much of the treatment, which might make you ill. For similar reasons you should avoid getting your hair loss treatment on any other part of your body. Read the instructions carefully and, if advised, use latex gloves when applying it. If you are pregnant, live with a pregnant woman, or have heart problems, you should not use hair loss treatments containing rogaine or finasteride (propecia), and you should be extra careful about other treatments. Finasteride may also cause problems for people with a history of depression. If you buy your product from a chemist, the on-duty pharmacist should be able to advise you about this. Hair Loss Medication wouldn't work without quite a lot of it being absorbed into your body, so it can affect your whole system, not just your head. This means that it's important to tell your doctor about your hair loss treatment if you are receiving medication for any medical condition. This applies even if you are using a herbal or vitamin based treatment, as these still have the potential to interact with other drugs. Any complementary therapy practitioner you visit should also be kept informed. Finasteride is known to interact with several common types of medicine including ibuprofen, some antibiotics and some antidepressants. It can also interact with amphetamines. Rogaine is generally safer but should not be used with topical steroids or Vaseline-based creams which are commonly used to treat scalp problems, as these can lead to over-absorption. Because many hair loss products are based on improving the levels of certain vitamins in your body, they should not be taken at the same time as ordinary vitamin supplements. Long term over consumption of some vitamins and minerals can be bad for your health. Vitamin-based hair loss treatments may work for some individuals, but many people will actually find that a general vitamin pill – or, better yet, an improved diet – is just as effective, and a lot cheaper! For more information about the kind of hair loss treatments that are available, read our articles on Hair Transplants, Follicle Injections and Electric Pulse Treatments.